With more than 300,000 units sold between all versions of the Fire Emblem Fates game during its launch weekend, the Nintendo 3DS strategy RPG earns a place in the record books as the fastest-selling game in the history of the long-running, critically acclaimed franchise in the United States. 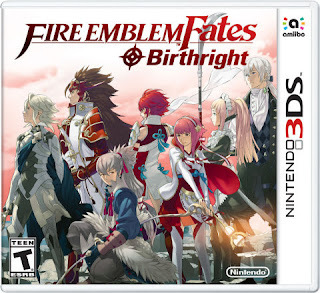 The game sold more than five times as many units as 2013’s Fire Emblem Awakening, the previous record holder in the United States, during its first three days of availability. Breaking down the sales numbers reveals that Fire Emblem Fates: Birthright was the top seller between both versions, with the more challenging Fire Emblem Fates: Conquest coming close behind. But the adventures are just getting started for players across the country, as people can choose to purchase the other version of the game for only $19.99 through the in-game shop. Both versions of Fire Emblem Fates offer unique stories with new characters, game play and plot twists. The first DLC map for Fire Emblem Fates launched for free on Feb. 19, with additional paid maps coming on a regular basis through April 21. By purchasing Map Pack 1 DLC for only $17.99, 11 maps plus bonus content will be available as they are released at a discount when compared to buying each map individually. When purchased individually, all of the maps would total more than $24. On March 10, a third story, Fire Emblem Fates: Revelation, launches for a suggested retail price of only $19.99 exclusively as DLC for Fire Emblem Fates: Birthright and Fire Emblem Fates: Conquest. This third path also offers a new adventure that sheds new light on the characters and settings from the other two games, and is ideal for players who have already completed one or both of the other versions. Fire Emblem Fates is the first of several high-quality role-playing games launching for Nintendo 3DS over the next few months. In addition to all the weekly Fire Emblem Fates DLC, the original Pokémon games (Pokémon Red Version and Pokémon Blue Version, as well as Pokémon Yellow Version: Special Pikachu Edition) launch in the Nintendo eShop on Nintendo 3DS on Feb. 27. Bravely Second: End Layerfrom SQUARE ENIX launches on April 15, with the massive Dragon Quest VII: Fragments of the Forgotten Past game hitting this summer and Dragon Quest VIII: Journey of the Cursed King coming later in 2016. Role-playing games FINAL FANTASY EXPLORERS from SQUARE ENIX and Project X Zone 2 from BANDAI NAMCO Entertainment America, Inc. also recently launched for Nintendo 3DS.